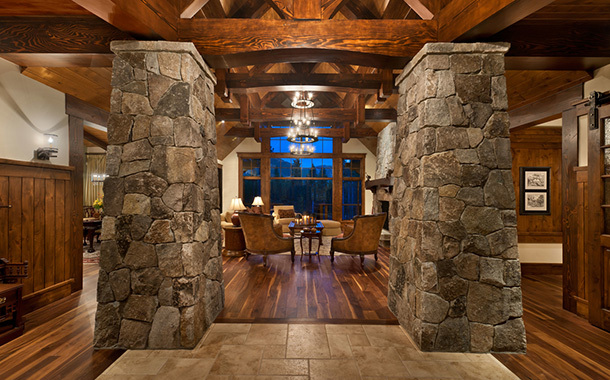 Walnut Hardwood flooring for Martis Camp residence | Nor-Cal Floor Design, Inc.
Matt worked with homeowners Mark and Bridget Wright, along with designer Julie Johnson-Holland to achieve the elegant, yet rustic feel they were looking for. 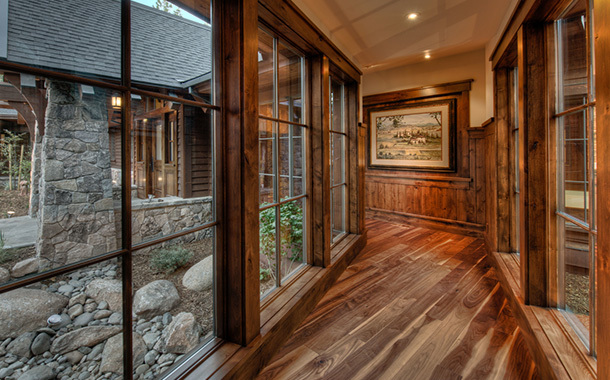 The floor of choice was Rustic Walnut with a natural oil finish. Planks were 6’6″ in length and 6.25″ wide. The contractor for this project was NSM Construction.